Krishna is confident of becoming one of the the top lyricist’s in Tollywood. Krishna Kanth’s name is doing the rounds in Tollywood these days as a lyricist for his work in Krishna Gadi Veera Prema Gaadha. 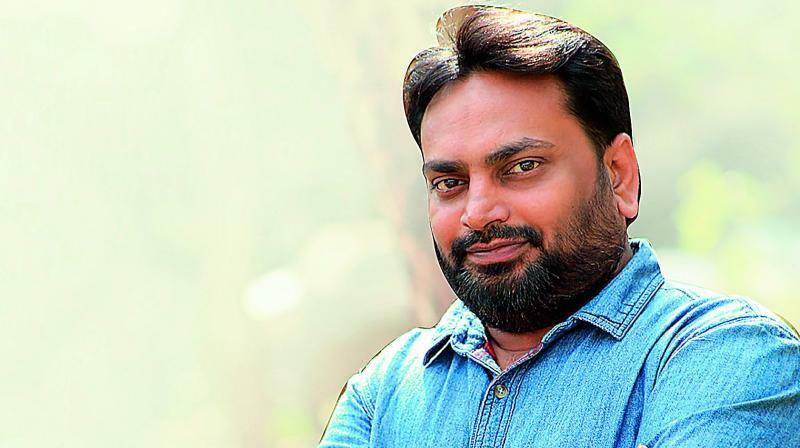 “I wrote all the songs for the film,” says Krishna Kanth, adding, “I wanted to be a lyricist from my school days as I had taken Sanskrit in my Intermediate,” he says. The only qualification one needs to be a good lyricist, he says, is command over the language. Hailing from Suryapet of Nalgonda district, Krishna Kanth settled in Hyderabad 20 years ago. “I was also interested in graphic designing so I learnt the subject and worked for a few private channels,” he adds. Director Hanu Raghavapudi had given Krishna Kanth his first break in Andala Rakshasi. “He again gave me an opportunity in his latest film KVPG,” he says. In between he wrote for many films like Jil, Docheyi, Asura, Kumari 21 F and Bhale Manchi Roju. He says he is an avid reader of Telugu literature and that his favourites are Chalam and Sri Sri. Among film writers he likes Veturi a lot. “I generally avoid English words when I am writing songs. All of them are mostly melodies and I try to use simple Telugu words,” he adds. The industry is now coming up with innovative subjects and many new directors are emerging. “It’s very encouraging for lyricists and the good thing is that everyone I have worked with has given me a free hand. They have never forced me to write what they wanted,” he says. “They narrate the story and according to the situation I put my thoughts on the song,” he says, adding that he takes a few hours for a song. Krishna adds that he is confident of becoming one of the top lyricists in Tollywood.